Sound is a vital element in so many media works, which is why we strive to keep finding sound effects contributors, in order to grow the number and variety of sounds at your disposal. Equally important in most projects however is music. It is vital for setting the tone of a scene, for guiding the audience of a film or the players of a game into the feelings the producers want them to have. 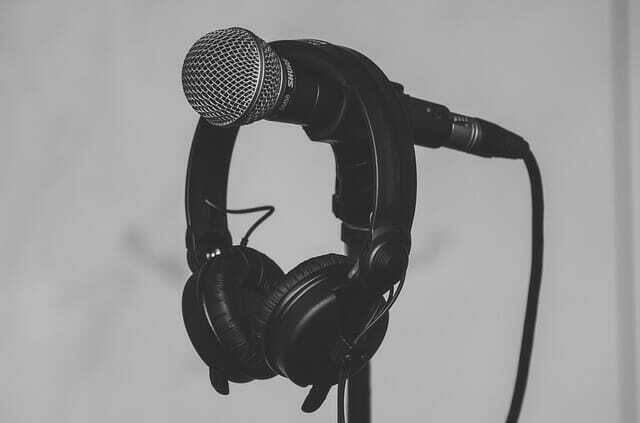 Because of the effort that goes into the production of royalty-free music for this purpose, such tracks are usually very expensive, which is why we are particularly keen to grow our collection of royalty-free tracks – to make such important assets accessible to content creators of all budgets. It’s even harder however to get hold of another type of music – background music that characters are actually listening to. When you hear one of your favourite songs playing in a film, either as the background to a montage in a film, a character’s ring tone or simply playing in a character’s house, car or bar, most likely the production company had to pay a lot of money to the record label/artist in question to be able to use that music. It’s why you never here background music playing in many lower budget productions, which is a shame because the type of commercial music playing in a scene tells you a lot about the environment you’re in or the feelings of the character playing it. We are delighted to announce that we were recently approached by artist Leonell Cassio, who has generously volunteered some of his royalty free music to be used in just the capacity mentioned above. Now, if you want to have the car zooming past on a dark night to be playing music, if you want to do a scene in a night-club or bar, thanks to Leonell Cassio, we have some EDM music to fit the bill. How about this for a teenager’s bedroom, this for a trailer or night-club scene, this for a commercial, this for a montage, or this pumping from a car stereo at traffic lights. All our contributors give very generously, which enables us to offer the assets we do. Please consider donating to them directly via their pages and, even if you’re a Gold member and therefore not obliged to give attribution, if you are able and willing to credit contributors in your work, it’s a great way of thanking the artists and sound designers here. We’d love to grow our collection of music like this so if you’re an artist looking for exposure or if you would simply like to give something back to the community, do get in touch with us to find out more about becoming a contributor.